Calcium and phosphorus are essential minerals found in the bone, blood and soft tissue of the body and have a role in numerous body functions. Phosphorus levels can affect calcium levels in the body, and vice versa. Parathyroid hormone, vitamin D and the kidneys all help to regulate calcium and phosphorus levels in the blood. The body must maintain certain levels of calcium and phosphorus in the blood. Parathyroid hormone, or PTH, and vitamin D work to keep these levels in balance. Calcium and phosphorus are absorbed into the blood through the small intestine after eating foods that contain these nutrients. The bones will also release the nutrients to help maintain necessary blood levels. The parathyroid gland can sense an imbalance of calcium or phosphorus. If the calcium level is low, the parathyroid gland will release PTH, which tells the kidneys to produce more active vitamin D. This helps the body to absorb more dietary calcium and phosphorus through the intestine, tells the bone to release calcium and phosphorus into the blood and tells the kidneys to excrete more phosphorus in the urine. Healthy kidneys will eliminate excess phosphorus and calcium in the blood. If kidney function is impaired, the body will not be able to get rid of extra phosphorus. High phosphorus levels stimulate the release of parathyroid hormone, which can cause complications when the normal mechanism for bone mineral management does not work correctly. A high phosphorus level may also result in a low calcium level. Calcium binds with phosphate and is deposited in the tissue. A buildup of these deposits causes calcification in the tissue, which can disrupt normal organ function. People with chronic kidney disease should work closely with their dietitian and doctor to control phosphorus, calcium and parathyroid levels. About 85 percent of the body's phosphorus and 99 percent of calcium are found in the bones. People with impaired kidney function are at greater risk for bone disease because they are more likely to have high phosphorus and PTH levels, which can lead to progressive bone loss. According to the Linus Pauling Institute, there is increasing concern for the effect of a high intake of phosphorus even in healthy individuals due to its possible impact on bone health. Excessive consumption of foods with phosphorus additives and a low calcium intake seem to be especially harmful. Calcium and phosphorus levels are controlled in part through dietary intake. The Food and Nutrition Board set the recommended dietary allowance of phosphorus at 700 milligrams daily. Sources of phosphorus include dairy products, meat, nuts, beans and foods that contain phosphorus additives such as convenience foods and colas. 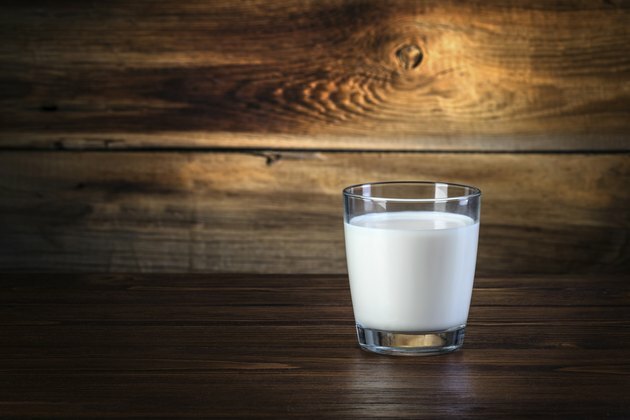 The RDA for calcium is 1,000 milligrams for most adults, though adolescents and older adults need more calcium. Sources of calcium include dairy products, soy, vegetables such as bok choy, broccoli and kale and beans such as pinto and red.